Skilled trades play a critical role in almost every aspect of the engineering product lifecycle, using practical knowledge of components and manufacturing to ensure that the products being produced are of the highest quality. From machinists and welders helping reduce the backlog of aircraft orders in the aerospace sector, to powertrain technicians, fabricators and CNC operators helping build the car of the future in the automotive sector, skilled trades people are crucial to the engineering industry. But skilled trades are in short supply. 69% of engineers believe that there is a skills shortage in engineering, with a quarter of those saying this was most prevalent at the skilled trades level - the highest gap at any skill level (Matchtech 2017 Voice of the Workforce report). Much of the gap can be attributed to the ageing workforce, as ‘baby-boomers’ move closer to retirement age. According to the EMSI (Economic Modeling Specialists International) 53% of skilled trades workers are over 45. While the impact of the shortage is hitting all engineering sectors, the maritime sector is particularly affected. 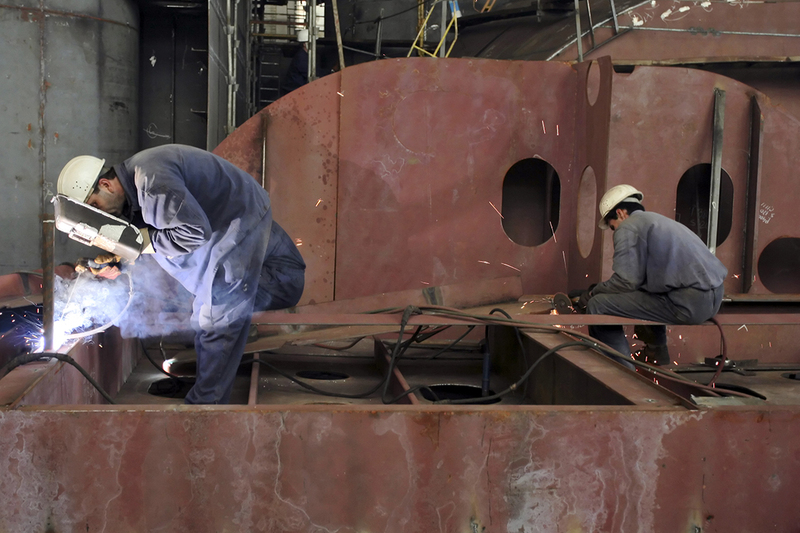 Skilled trades play a major role in both the construction and maintenance of vessels within the maritime sector, from commercial and military ships to leisure boats. Carpenters, electricians, boat builders and welders are just some of the skilled trades people on the front line, building the next generation of naval vessels and luxury super yachts. “Skilled trades are vital to the huge projects being undertaken in the naval sector at the moment. The UK is renowned for producing cutting-edge warships and submarines and there are a number of major build programs running concurrently such as the aircraft carriers, T26 frigates as well as the Astute submarines in Barrow. “Over the last five years we have seen huge demand for many trades such as mechanical fitters, pipe fitters, welders and platers, as well as electricians. The requirements have often fluctuated and at peak it has often been a challenge to recruit enough candidates with the right skills. Demand will remain high for the foreseeable future. With maritime skilled trades positions offering a potential 10% uplift in salary or contract rate compared to construction and other industries, opting to take additional training courses or professional development to move into the maritime industry might be a good way to progress your career as a skilled trades worker. To see our latest maritime jobs, click here.